Enter either through the courtyard to the door marked “Main Entrance” – under the awning or through the door on 2nd Avenue South. The doors are unlocked during our business hours of 8 a.m. – 4:30 p.m. Proceed to the desk, sign in and put on your volunteer or visitor badge. If you parked in our lot, you will also need to provide the make, color & license plate number of your car. Please don’t forget to sign out when you leave. There is a small parking lot behind the building accessed from 12th Street. Please park in an open space in the lot that is not designated for any other use. 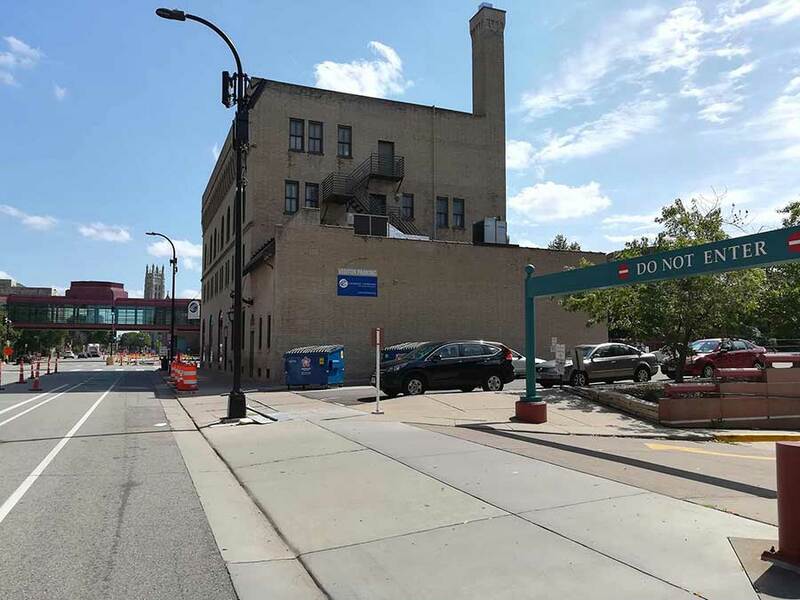 If there are no spaces available, exit the lot, turn right on 2nd Avenue South and park in the Plaza Parking ramp (pay ramp) directly next to the Catholic Charities Administration Center. Catholic Charities back parking lot.